At deda’s we believe weddings should be many things – memorable, shared by family and friends, filled with gaiety and overall merriment. What they should not be is filled with stress and overly pricey. That is why our approach to weddings and any other super-special events is somewhat different than what you might expect. Unlike specialty wedding bakeries and full-scale caterers, we do not yet provide transportation, set-up and serving of desserts. Instead, treats are packaged in our bakery boxes all ready for someone to pick up. By doing this, we can provide desserts and other treats to fit almost any budget. 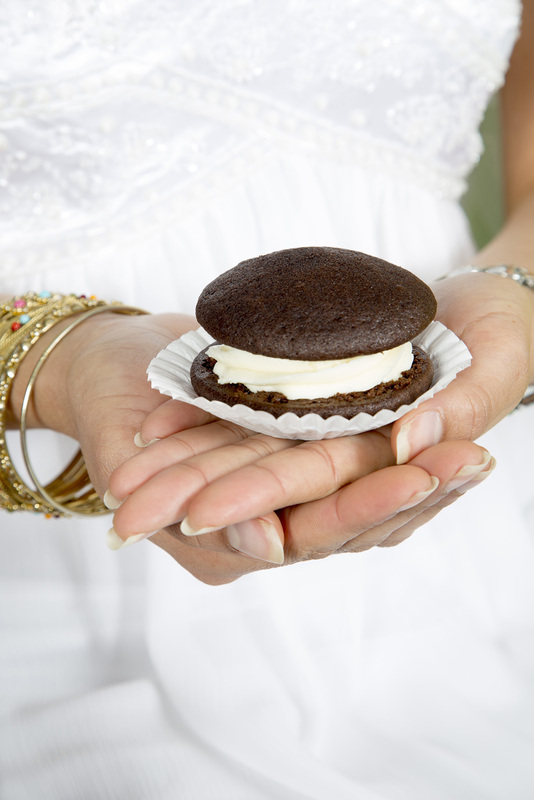 We offer a delicious variety of options – Layer and Naked Cakes, Cupcakes, Whoopies, Pies, Tarts, Cookies, Brownies, Mousse Shooters, Pie Bars. We will create a custom dessert menu that features local, seasonal ingredients – all made from scratch and with love. To get things started, please fill out the questionnaire below and send it to us via email. We’ll read your responses and get back to you as soon as possible. Please send your completed questionnaire to catherine@dedasbakery.com. Our Dessert Tastings allow you to try and consider a variety of treats for your upcoming event. The fee is $20 for two people to try five desserts. If deda’s provides desserts for your celebration, this fee is applied to your total. The cost for any additional people to attend this tasting is $8 (not applied to the total).